An accomplished advocate, Mr. Bhandari is a former member of the International Council of Jurists and a highly experienced Supreme Court Lawyer who has fought many cases of national relevance. After graduating from the Faculty of Law, Delhi University in the year 1980. Mr. Bhandari started his career by joining his father Mr. M.C. Bhandari. Mr. Bhandari’s cases are spectacularly drafted with masterly finesse and he stands out as an acclaimed figure among the Supreme Court fraternity. Sought for uncompromising nature, quality work, strict adherence to professional ethics and a vast knowledge bank Mr. Bhandari is a promising and dependable advocate for supreme court matters. 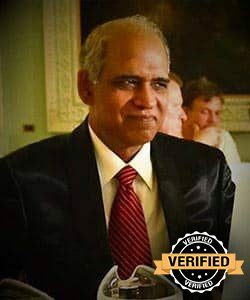 Mr. Bhandari deals into Constitutional, Civil, Criminal, Writ, DRT, Company/Industrial, International Trade, and Family/ Matrimonial Laws and has been practicing in the Supreme Court since 1990 (member Advocate Supreme Court Bar Association – SCBA), and has a vast clientele spread across the globe. Mr. Bhandari frequents television & radio talks, seminars and national and international conferences as key-note and guest speaker. His advice and opinion are relied on by individuals and business groups, especially, on matters of grave social concern. Mr. Bhandari is encouragement and support to many reputed and worldly-wise law-professionals. He also is a mentor to many educational institutions. Mr. Bhandari has served as an advisor to some of the largest educational, financial and corporate institutions of India and has also been a keen supporter of anti-corruption and anti-police-brutality cause. Famous for Public Interest and pro-bono litigation, Mr. Bhandari has closely worked on the matters concerning injustice towards minority, inequality, cruelty towards women, large scale food adulteration, children or animal, infringement of fundamental and constitutional rights. Mr. Bhandari is among the few Supreme Court Advocates in Chandigarh who takes up PIL and Pro-Bono matters.